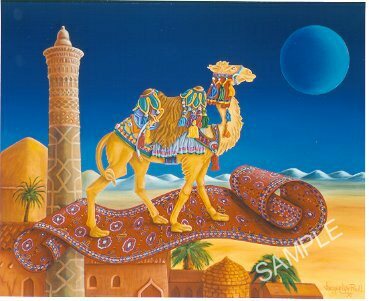 1 Title: “Bokhara Takes A Ride” Medium: Oil on Linen Size: 30" x 38" Date: 1997 Description: A Bactrian Carousel Camel finds himself embarked on a fantasy journey on a magic carpet. Where do you think he is going? 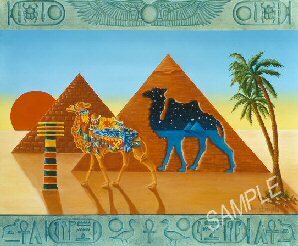 2 Title: “Isis Takes A Walk” Medium: Oil on Canvas Size: 30" x 36" Date: 1998 Description: Bedecked in Egyptian symbols, this little Bactrian Carousel Camel mysteriously comes forth to walk in the desert. Double shadows hint at a second light greater than the sun. 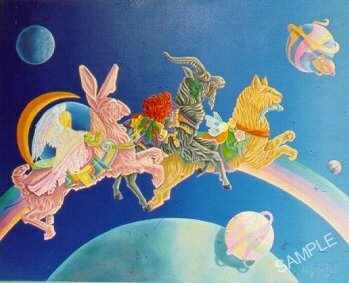 3 Title: “Moonrunners” Medium: Oil on Canvas Size: 30" x 24" Date: 1996 Description: Carousel animals racing the moon. Looking out at us, and usually the symbol of transgression, the Goat is carried along by his companions to redemption. 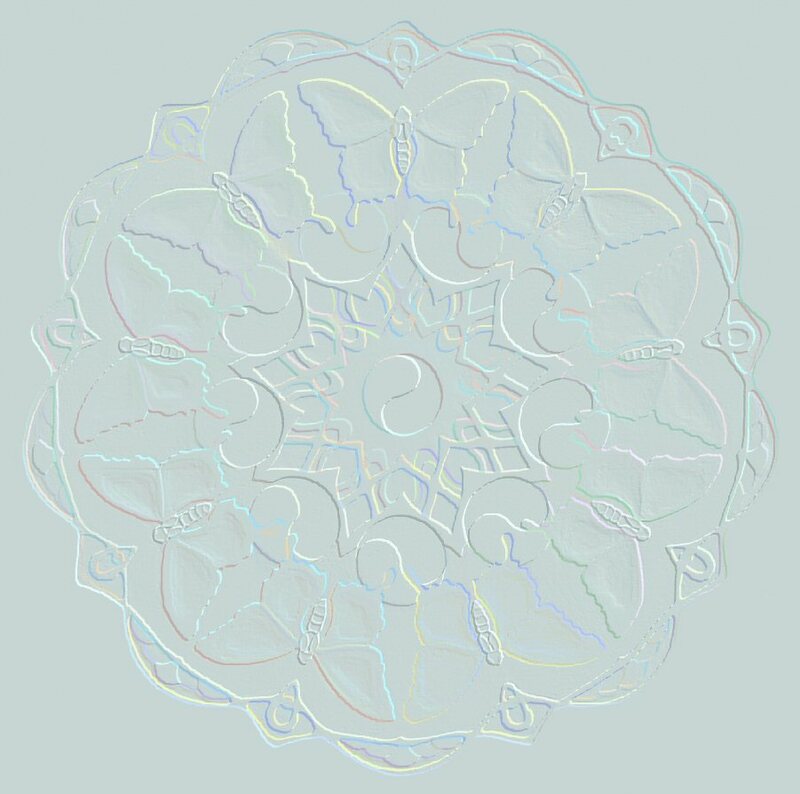 The butterfly-winged Soul is riding the eager Cat and the Moon-Angel the expectant Rabbit. 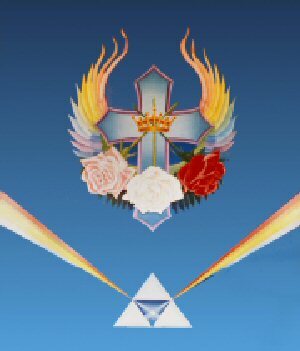 Description: With a base of Sacred Geometry, the Cross folds up into a cube and the triangle of the three roses are symbolic of the trinities in many spiritual practices. The myriad of life is projected through the Light of God.